You are here: Home / General / Do We Need a Steel Core Rail? 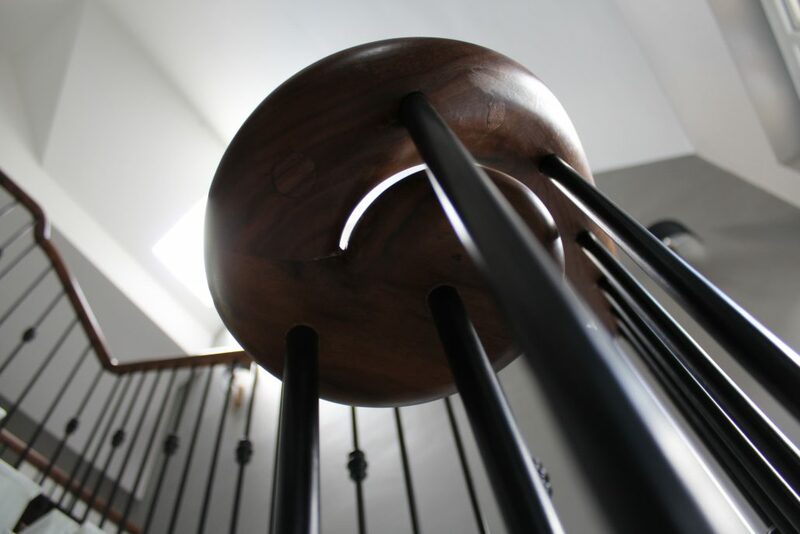 Here at Handrail Creations, we aim to give each and every customer the best possible service. As part of this, we are always answering pressing customer questions. 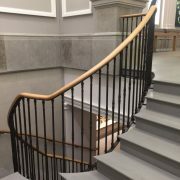 One of the most common is whether every handrail needs a steel core rail, and what the benefits are of this once put in place. 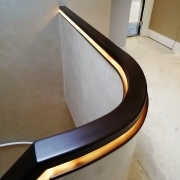 So, we are here to answer this commonly asked question – to help you keep informed and broaden your knowledge about the business of designing and making bespoke handrails. What is a steel core rail? 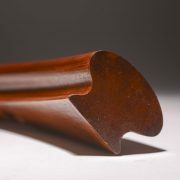 ‘Core rails’ are often used to cap steel balustrade. 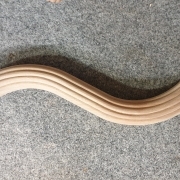 Core rails are a flat bar, usually 20-40mm wide, which twists and turns with the staircase, following it’s incline perfectly all the way to the top. 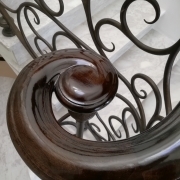 The perfect handrail is safe and secure, and will last as long as the building it stands in. 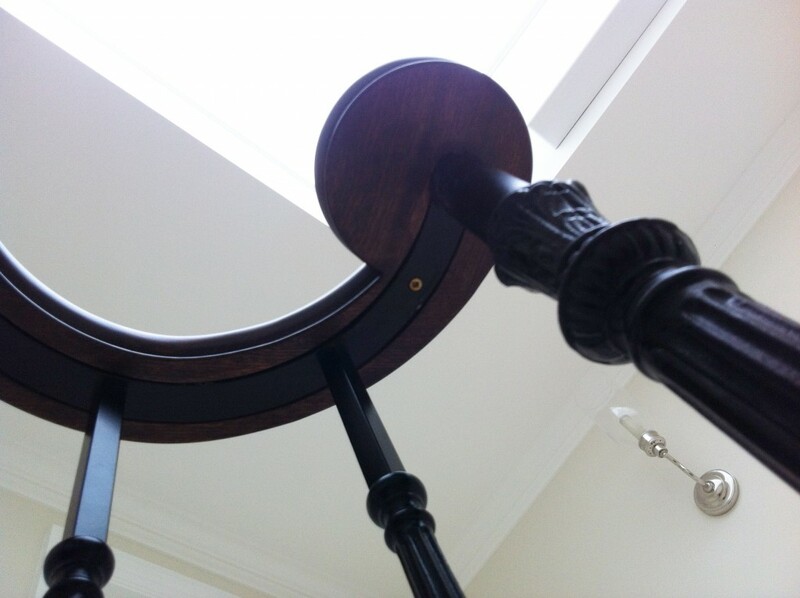 Steel core rails help to ‘anchor’ the railings reinforce and ensure the strength and stability of the handrail. 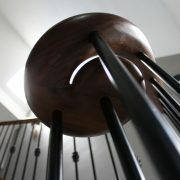 Their main job is to hold the spindles of the stairs in place, and they do this very well in all cases. The main disadvantage is that core rails can be quite hard to control and manipulate. They are, in a lot of cases, formed by eye on site. Another downside is that core rails are not applicable with each and every handrail. Ornate ironwork almost always has a core rail, as this is the traditional method, but sometimes it’s better to drill holes directly into the timber and fix in place. 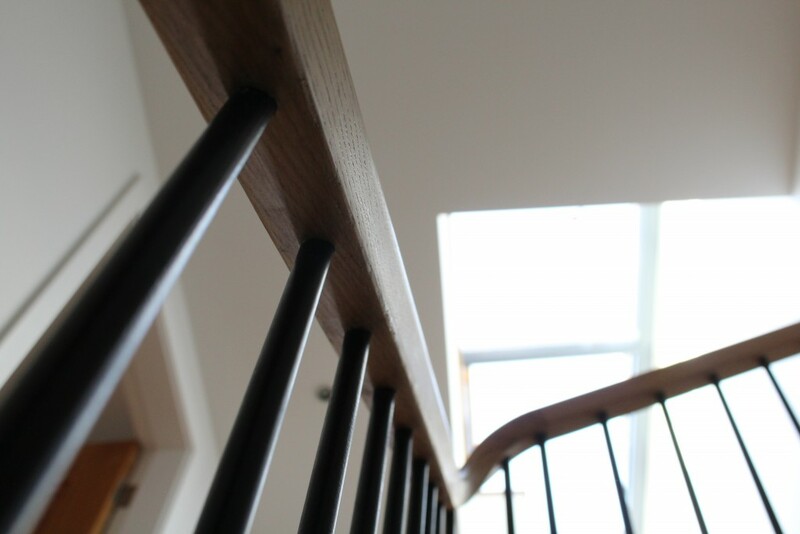 As part of our design service, we can digitally survey core rails in situ: We work to a 1mm tolerance to ensure the handrail is a snug fit, even with the handrails manufactured and assembled all offsite in our factory. 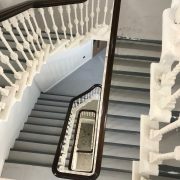 We are so accurate, that we can also drill out individual holes for the staircases’ spindles to drop into, giving a much cleaner look.